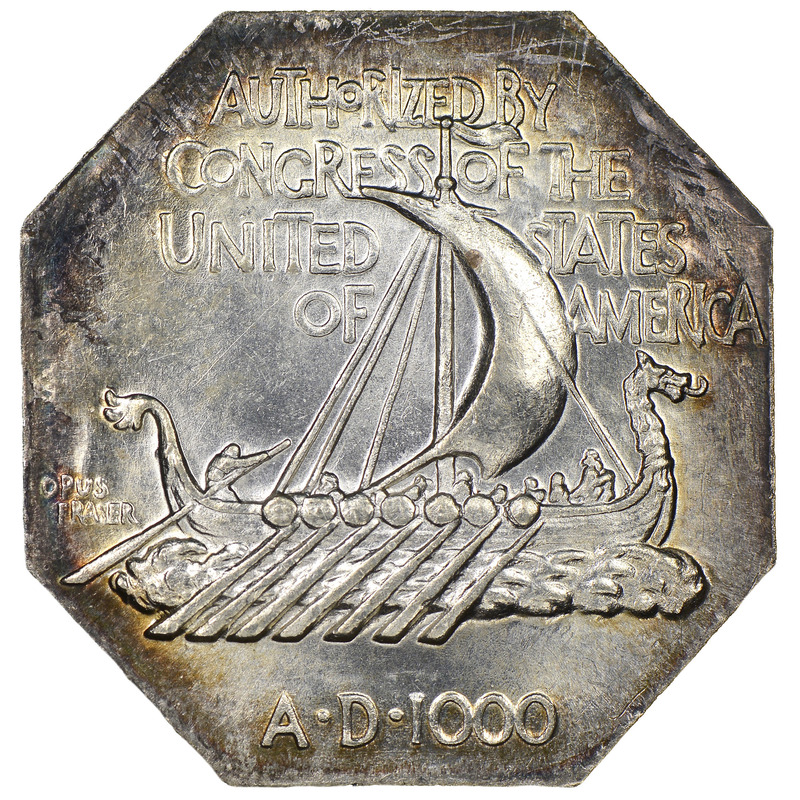 The 1925 Norse American medals were struck to commemorate the anniversary of the arrival of the Restauration, which brought Norwegian immigrants to the United States a century earlier. The medals were struck in many different metals and sizes. The two most common are the thick silver, with a mintage of some 33,750 pieces and the thin silver, with a mintage of 6,000. There were also 100 gold struck, but 47 of those were melted. 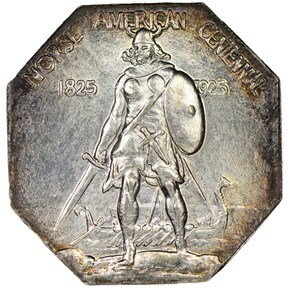 Larger format triple-silvered bronze pieces were also struck for display at museums. Only 60 of those were distributed and they are very rare today.